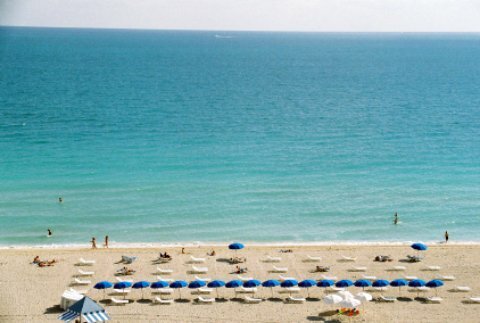 considered a best Florida beach? private planes and expensive yachts, just to take a stab at it. often the site of Hollywood TV shows and films. Not only can you experience what it feels like to be on a movie set firsthand, but the beach belongs to everyone so stake your claim to a piece of this expensive real estate for a few hours and relax and unwind. In addition to sunshine and world-class boutiques, you can walk around and feel that ever-present comfortable ambiance of wealth and power all around this extremely popular beach. The sand is white and pure, the water is clear blue and the buildings on the beach are beautifully designed, as if architecturally designed to provide a great film location. There is a myriad of activities if you prefer from water sports to highbrow museums and art exhibits. You are only limited by your imagination. Miami Beach Florida is a welcome escape anytime where you can enjoy temperatures in the 70s and 80s year round, reaching the 90s in mid-summer. The sun is strong here so be careful. Also, be careful of the strong drinks at the many clubs located on this famous beach. Swim, surf, watch the people or just relax on the beach. The incredibly scenic and historical Art Deco District has 80 blocks of historic buildings, brimming with character. At night, enjoy the neon lights of the hotels and buildings, which give this already fascinating place even more beauty. Visit the Bass Museum of Art if you’re looking for culture and class all under one roof. Golfer? Visit The Links at Key Biscayne, for one of the most popular golf courses in Miami if you really love golfing. Relax at one of the local beach spa resorts, such as Sanctuary Salon and Spa. The club scene and nightlife are huge here, as are the shopping opportunities! South Beach is where the stars find a lot of the latest trends and styles… or the best bargains. Kids of all ages: There are enough activities on the beach to keep them busy for hours, but if you’d like something different to do, check out the Miami Seaquarium. You will love this huge 235,000-gallon saltwater aquarium where you and the kids can enjoy watching sea life such as killer whales or participating in other fun activities involving ocean life. Eating: Joe’s Stone Crab cannot be missed. Named, of course for its fantastic Florida stone crabs it also boasts some spectacular Key Lime Pie. For southern cooking that reminds you of mom’s, check out Lulu’s, where you can dine in a fun room dedicated to Elvis Presley. Sleeping: For incredible ocean views, the moderately priced Days Inn Oceanside offers comfortable rooms and is convenient to the beach…all you have to do is step outside the door! If you have a bit more to spend and are really looking to indulge yourself in the luxuries that the stars who come here enjoy, spend a night in Fontainebleau Hilton Resort & Towers. The service is impeccable and you can enjoy gorgeous architecture such as marble staircases and crystal chandeliers or relax by the beautiful pool with a cocktail or two while the kids entertain themselves for hours. The celebrities are here year ‘round and they have to eat and drink like you so come on down to Miami Beach Florida and keep your eyes peeled for a big star!